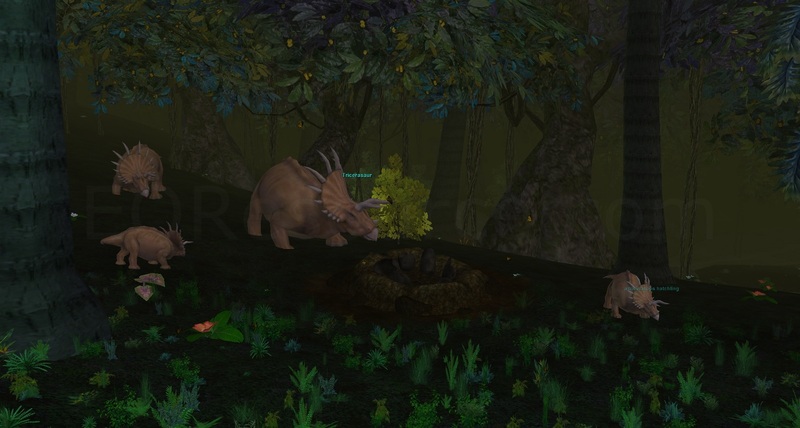 The dinosaurs were the first to rule on this island, they may have been deposited by flying dragons who wanted to ensure their primitive cousins could have a land that they would be safe to develop in. 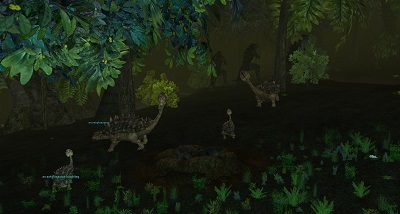 The great beasts roam the central and north-western sections of the island. They tend to their eggs, hunt for food, and drink water at the lakes, rivers and ponds. They have begun to win their battles against the lizardman tribe so it is rare they fight anymore as the lizardmen primarily stay in their temples now. The dinosaurs are mostly indifferent to the Aviaks and are non-confrontational toward the forest giants. 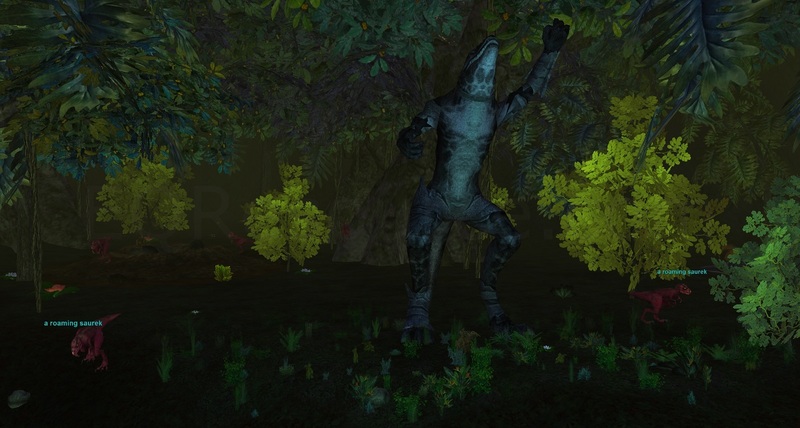 The lizardmen, a creation of Cazic-Tule, were the second race to make its way to the island. Cazic-Thule set his creations loose in swamps and jungles throughout Norrath, this island happened to be one such location. 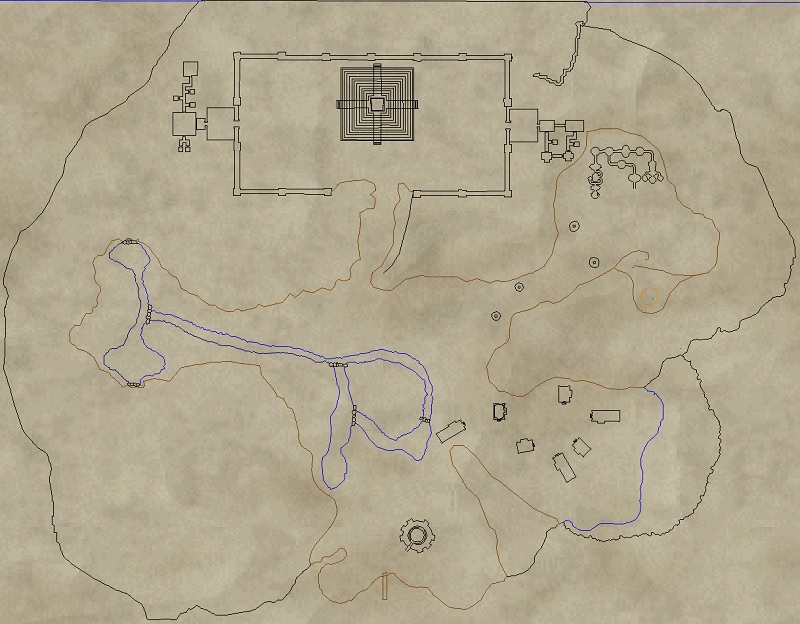 The Thaell Ew grew smarter over several generations, built grand temples and began to conquer the dinosaurs. Within the last 200 years the tribe has begun losing their battle against the dinosaurs and the extent of their territory has begun to recede. Ruins of lizardman statues and very small pieces of lizardman architecture can be seen in the dinosaur valley, suggesting that at one point their temples extended out into the western clearing as well as the north. 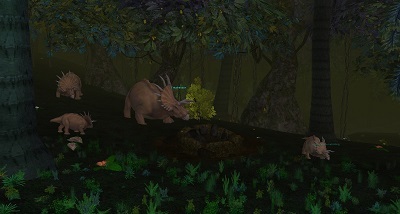 The Thaell Ew have become more reclusive as they lose ground to the great dinosaurs which they once were winning the fight for territory with. They have no contact with the outside world so they are unaware what has happened to their god Cazic-Thule. Their outwardly visible daily life revolves around the worship of idols in the temple, hunting for food and drinking. The Kromtus forest giants were the next group to find their way to this island. The original members of the tribe were elite scouts of the Rallosian army that marched upon the Plane of Earth. 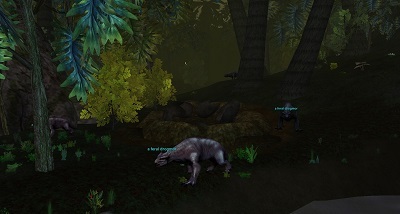 When the battle was lost and the curse of the Rathe struck Rallos' creatures these giants were not spared. 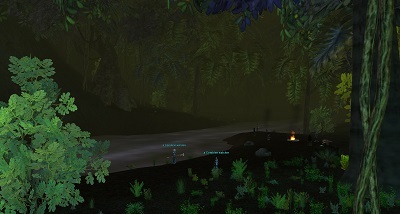 Rather than being able to retreat to Kunark the scouts were caught in a void that deposited them upon this island. Unable to see any way off the island the group settled in the south-eastern forest and has lived here for many generations since. The Kromtus keep mainly to themselves. They have scouts positioned at the valley leading into their territory to ensure no threats make their way into the village. They station fishermen to gather food for the tribe and will rarely hunt but only if they are unable to obtain enough fish. The Aviaks are the most recent surviving migrants to the island. 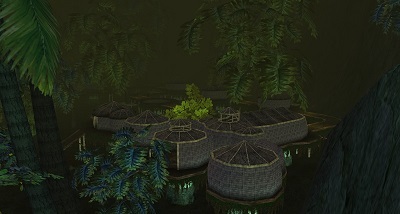 When the massive migration of Aviaks from Timorous Deep to Redfeather Island occurred, several members of the tribe continued south to this island to settle. Over many generations these Aviaks have forgotten their faith in Karana and have begun fearfully worshiping the great black raven to the south. It is not known if the raven came to the island before or after the Aviaks, they only know that it is imperative to their survival that they do not disturb the mythological beast's nest. The final group to arrive on the island was a small band of sailors from the Combine empire. They settled on the beach and began to build their traditional monuments and residences. They never managed to return home and died out after a single generation. Their skeletons and ghosts still inhabit the ruins they left on the beach.